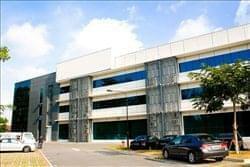 Find My Workspace lists over 95% of the serviced offices market in Geylang. Simply click Request Quote to check pricing for one office, or Add to Basket for multiple offices. 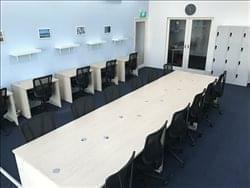 This business complex consists of 2 buildings and offers 20 newly furnished serviced office designed to improve work flow. The workspace is completely ready to use after a swift and easy sign-up process. Facilities include networked copier access, customisable telephony services, fingerprint biometrical door access system, and 24/7 usage of the office. An on-site team is there to assist on all business issues, from company incorporation to office space usage, call answering and other secretarial work. This centre offers both stylish and professionally fitted contemporary–style ‘incubator-like’ workspaces on short or longer term lets. So when you want a more motivating and corporate environment where you know you will be able to bring your clients for a meeting or have a start-up workspace with no upfront capital, this is the place for you. allows you to engage in business discussion in a conducive environment. Business Continuity Plan Package & Virtual Office Packages are available too. 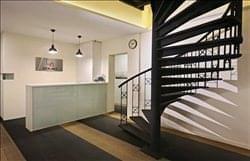 These serviced offices are fully furnished and include air-conditioning, utilities, internet access. With offices of different area sizes capable of suiting your business needs as well as instant occupancy with no capital outlay, flexible lease terms and no disruption to the lease as the office is owned by the operator, this space is perfect for your business needs. Meeting rooms are also available with complimentary reception services so your guest can be greeted by friendly staff and you can gain access to the space 24/7 so whether you’re a local or international business you can cater your business hours to your needs. Provided is a fully fitted ‘incubator-like’ workspace on a weekly, monthly or yearly basis. The professional frontage ensures that you get the best impression for your business. Shared facilities such as a meeting room allows you to engage in business discussion in a conducive environment. Business Continuity Plan Package & Virtual Office Packages are available too. These serviced offices are fully furnished with various amenities available, including high speed broadband Internet access, dedicated phone number and access to the offices 24/7. Furthermore you will benefit from a warm and professional reception and business lounge, office cleaning and maintenance and ample car park lots with affordable season parking charges. All this is accessible on flexible lease terms to suit your needs. This business centre is located in a unique commercial development with a 10-storey premium-grade office tower and a three-storey retail podium, that together offer a great quality of work-life balance and convenient location for all types of businesses. Many of the building’s units offer floor-to-ceiling natural light that offer bright working spaces and enjoy panoramic views of the city skyline. Located in the heart of the Ubi Business Hub, you’ll find this unique centre offering fantastic coworking desks, equipped with massage chairs, ergonomic chairs, modern interiors as well as personal storage lockers. The coworking spaces are available for up to 30 people, with conference room access and pantry usage. Step out during your lunch time and to enjoy cheap and delicious local food! A flexible, basic lease includes Wi-Fi access, unlimited use of the pantry, as well as several complimentary hours of meeting room facilities. Take advantage of the “dedicated desk” package, and add phone lines to your inclusive monthly payments. To obtain information for your selected Geylang Serviced Offices, please tick the "Add to basket" box for each office you prefer and complete the form below. We will then send a detailed report via email.